The face-lift (also known as the rhytidectomy) is a surgical procedure designed to restore a more youthful appearance to both your face and neck. It is intended to set back the clock and allow you to balance your inner feelings and outward appearance. Clinically the face is divided into upper, middle and lower thirds. The face-lift is designed to restore a more youthful appearance to the lower 2/3 of the face and the neck. The traditional facelift alters the face by focusing on the cheeks, jowls, neck and temples. To a lesser extent the lower lids may be positively affected as well. The operation relies on the removal of excess skin, the re-positioning of underlying fat pads, and the tightening of select facial muscles. 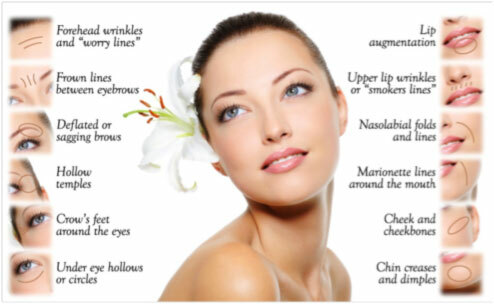 The facelift is not designed to provide rejuvenating changes to the eyelids, forehead or brow. Nor does it address persistent wrinkles around the mouth. Rejuvenation procedures in these areas are separate and require eyelid (blepharoplasty), brow lift surgery, or skin resurfacing (laser, dermabrasion, or chemical peel). It is possible to combine facelift surgery with eyelid and brow lift procedures or some minor resurfacing around the mouth but they are not part of the same surgical procedure, and are not described in this section. More limited attempts at facial rejuvenation are now being performed by the use of barbed sutures that attempt to redistribute skin and underlying tissues. As there are no true tissue planes developed in these techniques, they do not achieve the same quality or extent of facial rejuvenation as a formal rhytidectomy. These techniques will not be discussed further in this section. Prior to any plastic surgical procedure patients should avoid alcoholic beverages for one week prior to surgery. Anti-inflammatory drugs (Aspirin®, Motrin®, Ibuprophen, Advil®, etc.) should stopped two weeks prior to surgery due to their effects on the body’s blood clotting system. Failure to do so may lead to increased bleeding during the operation, blood clots (hematomas) and post-operative bruising. If you require painkillers on a regular basis for arthritic pain or headaches, the use of Tylenol ES® will not affect blood clotting. The use of herbal supplements or traditional medicines should be discussed with your surgeon pre-operatively to see if they will affect your surgery. All medical conditions and medications must be disclosed to your surgeon pre-operatively. Medical conditions such as high blood pressure must be well controlled in procedures like facelifts where bleeding and hematomas are a risk. Smoking requires special mention as chemicals in smoke can cause vasoconstriction of blood vessels resulting in reduced blood supply to the redraped and re-positioned facial tissue. All smokers, regardless of quantity, are at an increased risk of tissue death (necrosis) following facelift procedures. Smoking should be stopped 2-3 months before the operation in order to eliminate the added risk of tissue loss due to smoking. Some surgeons will refuse to perform elective operations on smokers due to this risk. Although these procedures have been performed for decades, recent advancements in the field of plastic surgery have developed new methods that lead to more longer-lasting results. The condition of your skin, location of your hairline and extent of rejuvenation required will be evaluated preoperatively. The incision starts in the hair behind the temples (or in front of the hairline for those who can not tolerate minor hairline changes), follows the contour of your ear and ends in the hairline behind your ear. A small incision is often made in the crease under your chin to allow your surgeon access to your neck. Incisions are well concealed in these areas. Tissue planes are developed that allow redistribution of the underlying fat pads and then removal of excess skin. These redistributions restore the youth to the face and the removal of excess skin removes may unwanted wrinkles. Fat may be removed from the neck and muscle repositioning hides the fatty or ropy look of the aging neck. Your surgeon may also recommend a mid-face lift. This lift rejuvenates the cheek below the lower eyelids. This form of lift may be included as part of a formal face-lift or used in isolation where rejuvenation in the lower face is not required. These lifts are performed at a tissue plane between the facial skeleton and overlying tissues. They can be incorporated as part of a brow lift or as part of a lower eyelid (blepharoplasty) procedure. The typical convalescence following face-lift surgery is approximately 3-4 weeks. A facial bandage or garment is often used in the early post-operative period. Pain is controlled with prescription medications for the first few days. Most patients require only over-the-counter medications or are comfortable without pain medication within days of the procedure. Bruising and swelling of the face, neck and around the eyes is normal after these procedures and swelling becomes greatest within 3-4 days after the face-lift. Remember that this is a normal part of recovery and disappears within 2-3 weeks of the procedure. With a gradual recovery, you will need to wait several weeks for a proper assessment of how you are going to look. Facelift scars will take 12 months before the can be assessed in their final form. During that time protection of the scars from the sun is essential. Although proper sun protection is essential on all exposed skin, high SPF sunscreens (SPF 45 0r 60) are essential over the surgical scars, for 12-18 months, to prevent permanent darkening of the scars. Like all scars, facelift scars will continue to fade beyond the 12-month period. Patient satisfaction with this procedure is usually high. Rhytidectomy (facelift) surgery is not covered under the Canadian Medical Plan and the final cost for such procedures will be at the discretion of the plastic surgeon performing the procedure. The average cost of this procedure, published by the Canadian Society of Aesthetic (Cosmetic) Plastic Surgery (CASPS) is $8000 (with a range of $6000-$12,000). This website does not cover all of the medical knowledge related to rhytidectomy or mid-face lifts nor does it deal with all possible risks and complications of surgery on the face, neck, and associated structures. Although it is designed to provide the patient with greater depth of information in some areas, it is not intended to substitute for the in depth discussion between patient and surgeon that must occur prior to any surgical procedure.